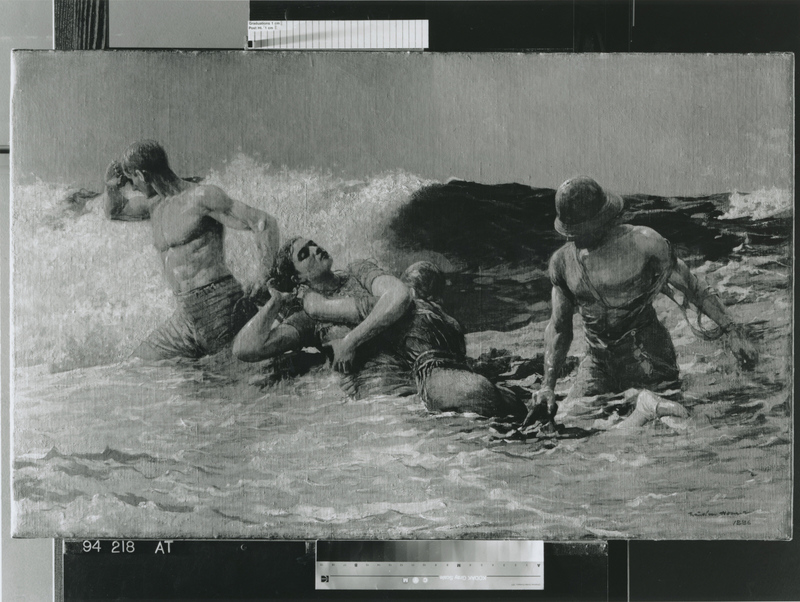 In 1883, Homer witnessed an event near Atlantic City, New Jersey, that allegedly inspired this dramatic painting. 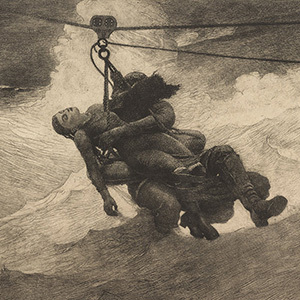 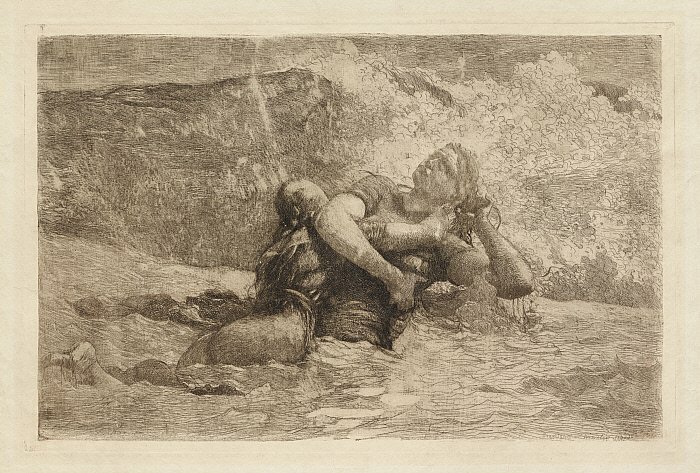 Rescuers try to haul ashore two women, weighed down by their waterlogged bathing dresses, in danger of being pulled beneath the waves by an undertow. 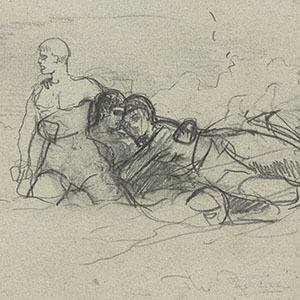 The figures appear as three-dimensional and solid as the ancient Greek marble statues on which they were modeled. 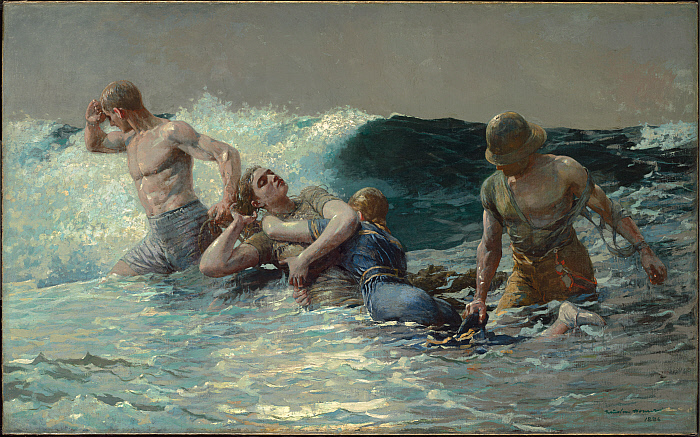 Yet despite their muscularity and apparent strength, their struggle suggests human frailty in the face of the sea’s awesome power. 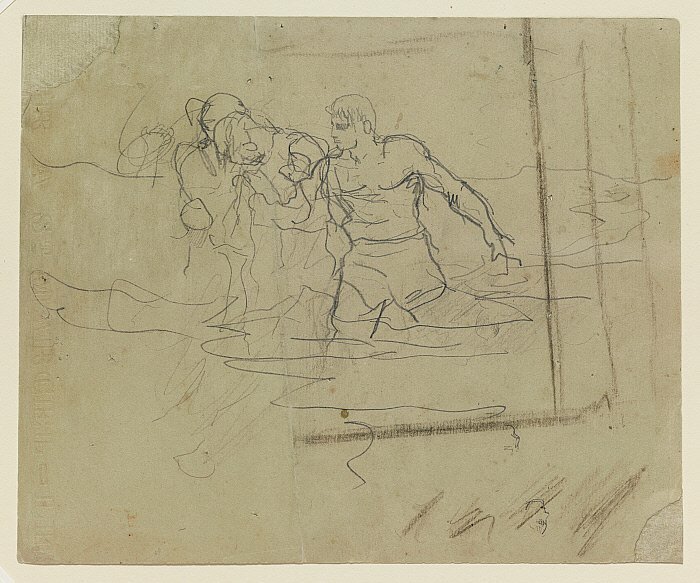 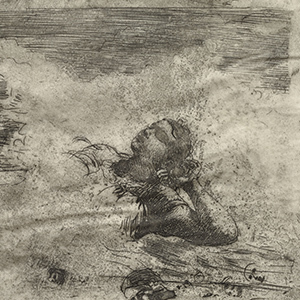 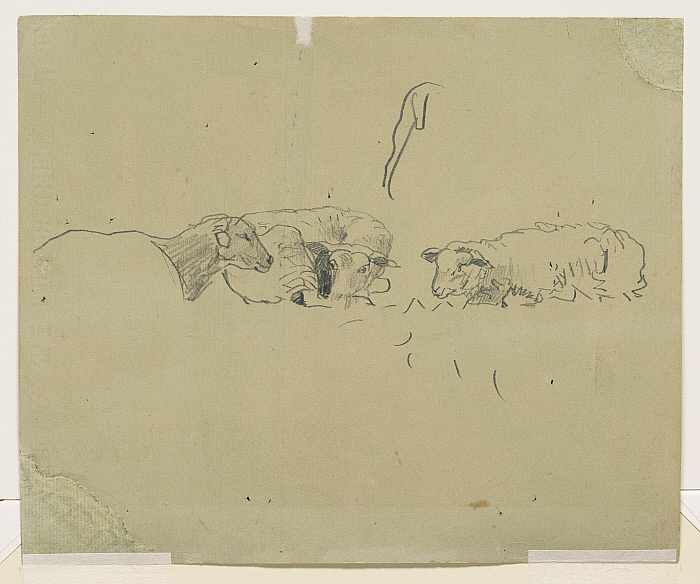 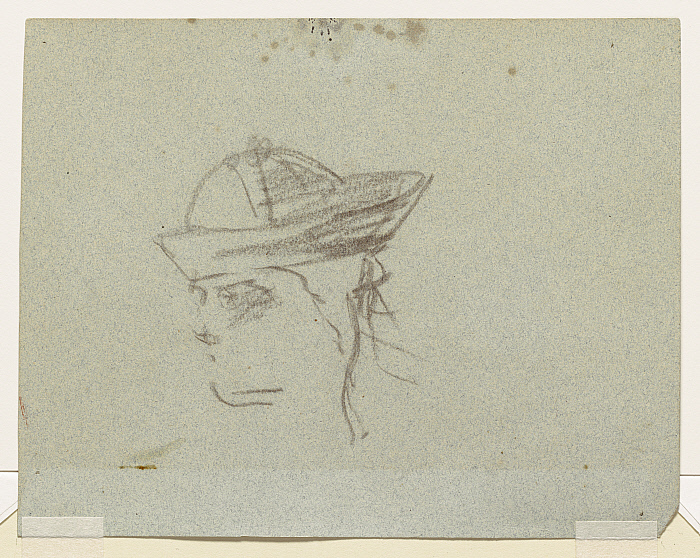 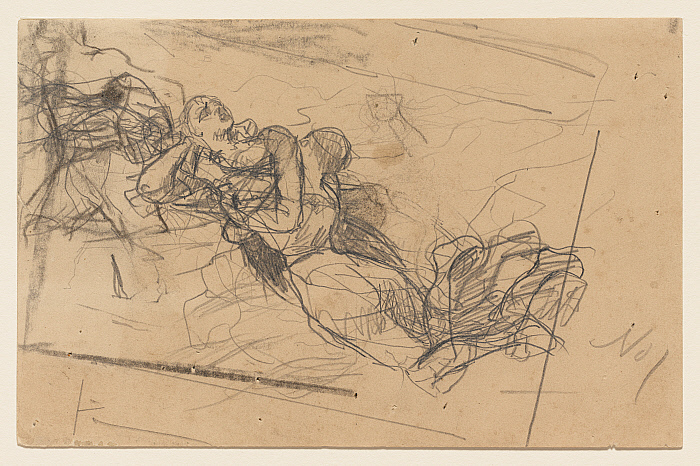 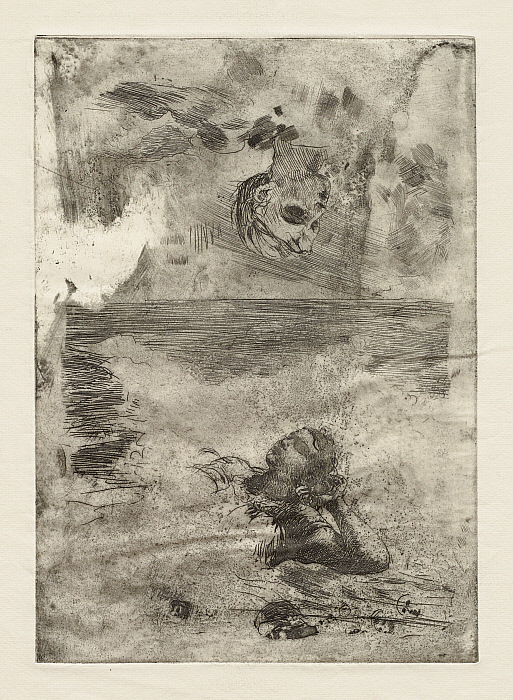 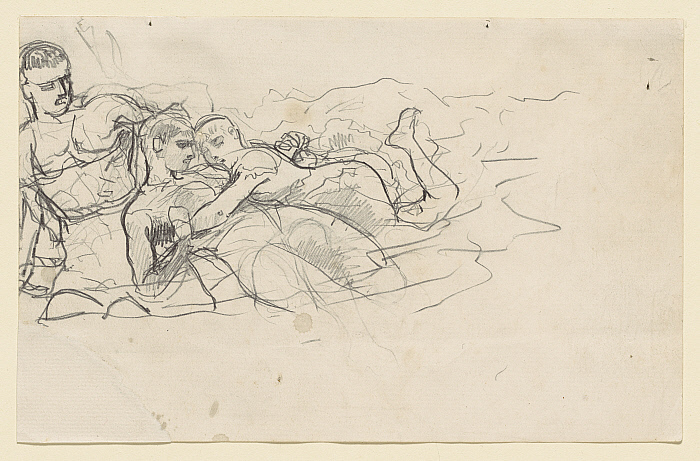 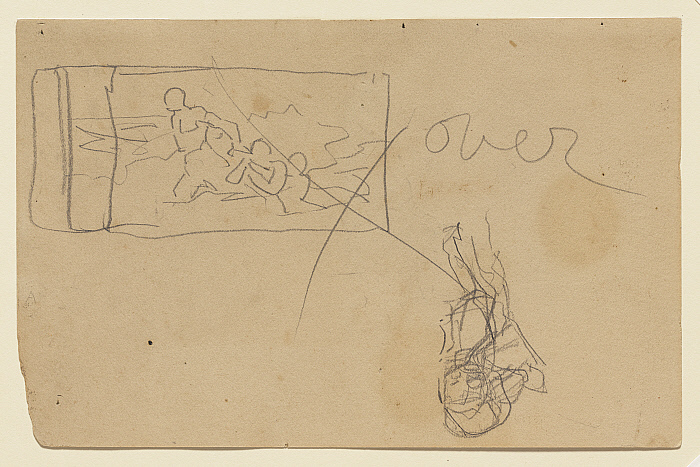 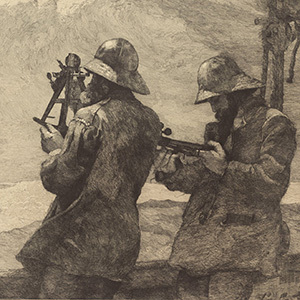 Eleven years after Edward D. Adams purchased Undertow, Homer sent him six drawings that he had used to develop the painting's composition. 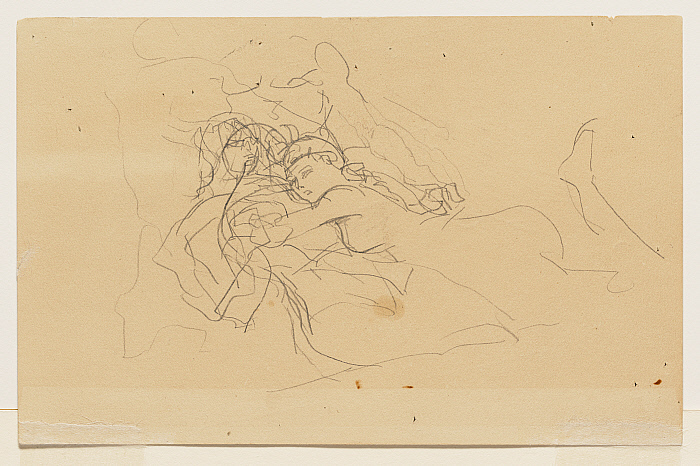 Although we know neither the date (with the exception of the one bearing the inscription April 25, 1886) nor the order in which Homer made the drawings, they show the quickness and spontaneity of his working process; Homer sketched on scraps of paper of varying color and size, using fronts and backs of some sheets, often without bothering to center the figures. 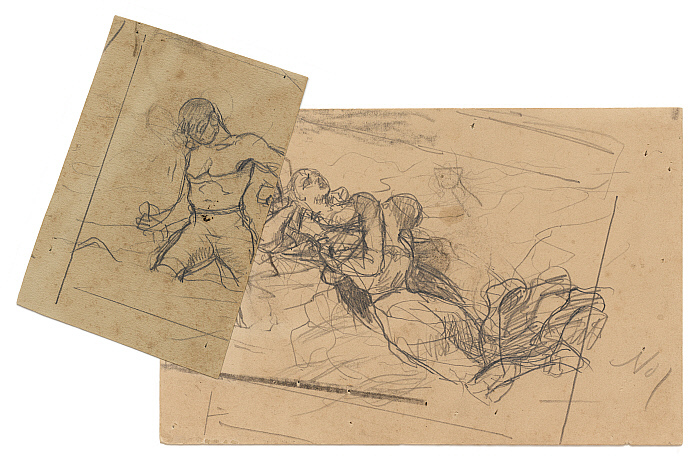 These studies demonstrate that Homer worked through significantly different figural arrangements before deciding on the final composition. 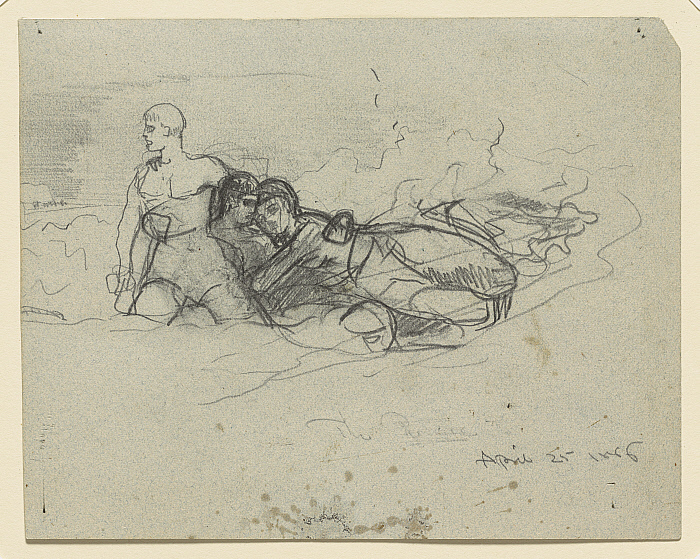 Homer evidently intended to publish a small etching after the two central figures of Undertow. 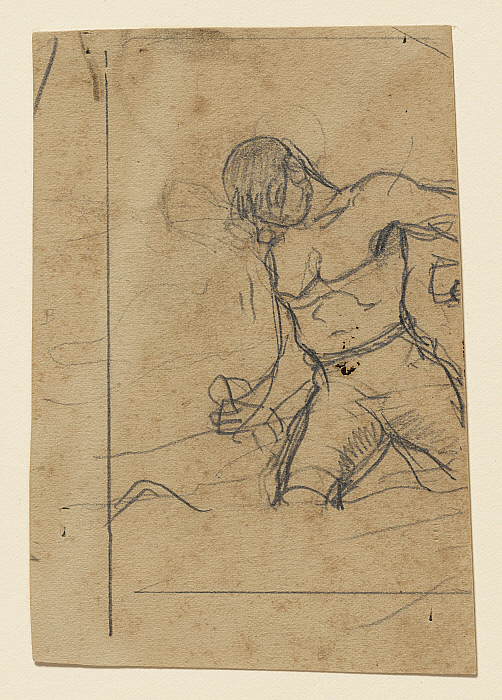 In spite of working up a plate to a high degree of detail, he never carried the project to fruition. 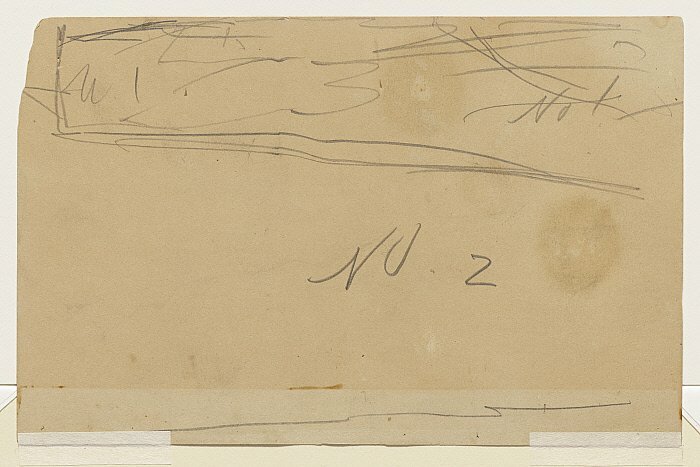 Only two trial impressions were ever recorded; the Clark sheet, acquired from the Homer family, is the only one whose location is now know. 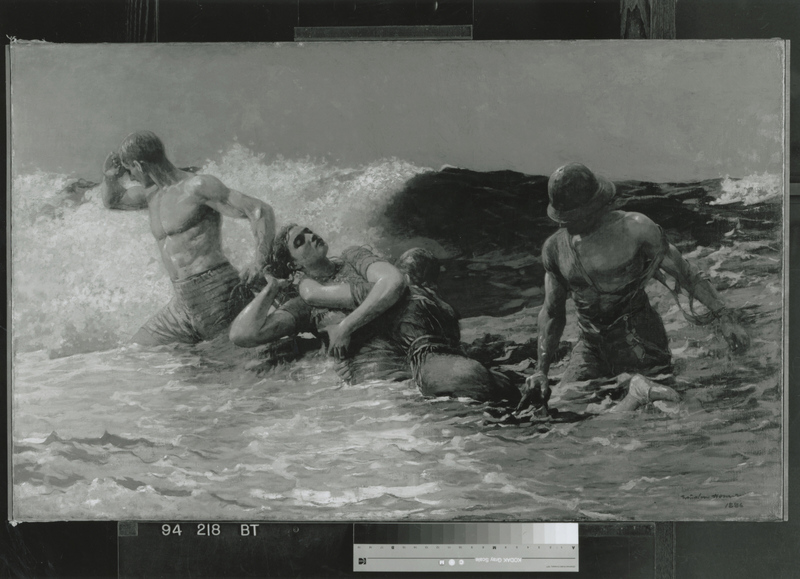 Conrads, Margaret C. American Paintings and Sculpture at the Sterling and Francine Clark Art Institute. 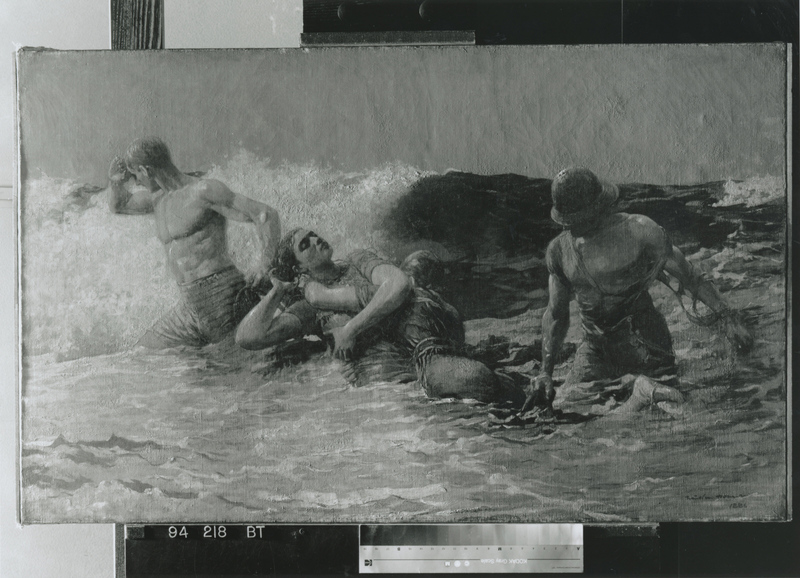 New York: Hudson Hills Press, 1990.